You can make a tulle table skirt to decorate a plain table for a birthday party or other special event. 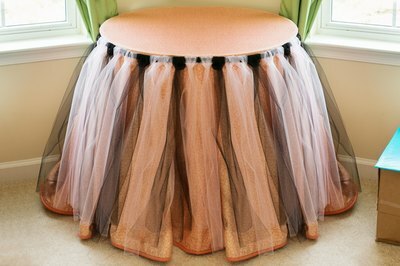 The table skirt resembles a ballerina's tutu and can be made from a single color of tulle or you can make a pattern of tulle ribbon around the table from different colored or patterned strips. Keep the skirt attached to the table with a piece of elastic to hug the table top, or add a hook and loop fastener to the table skirt to make sure it stays in place all through the event. Measure the perimeter of the table and subtract about 3 inches from this measurement. Cut a piece of 1/2-inch-wide elastic to this measurement. Join the short ends of the elastic together and sew across the joint three or four times. Measure the distance from the table top to the floor. Multiply this measurement by 2. 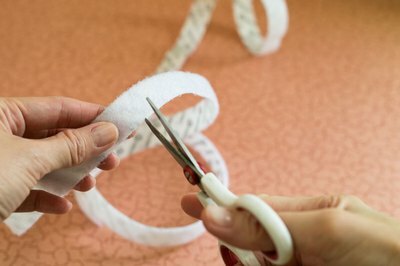 Cut strips of 6-inch-wide tulle ribbon to this length. 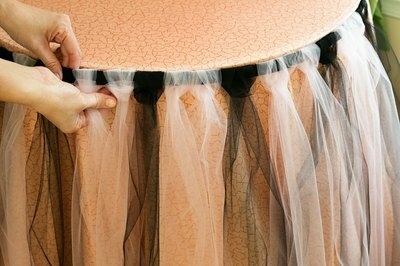 You will need approximately 1 strip of tulle for every 1/2 inch of the table's perimeter. Fold one of the strips in half and make a loop at the folded section. Hold the folded section in front of the elastic and bring the ends of the strip up behind the elastic and through the loop. Pull tightly on the loop to make a slipknot. Repeat with each piece of tulle, pushing the knots as close together as possible as you work. Slide the tulle table skirt over the table and align the elastic with the sides of the table top. Measure the length and width of the table top. Add 2 inches to the length and 2 inches to the width. 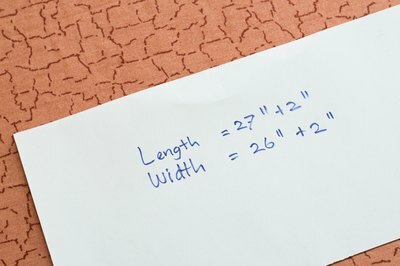 Cut a piece of fabric for the top of the table according to these measurements. Cut 4 pieces of hook and loop fastener. (Cut all 4 pieces from the "hook" fastener) Make 2 equal to the length of the table top plus 1 inch and 2 equal to the width of the table top plus 1 inch. 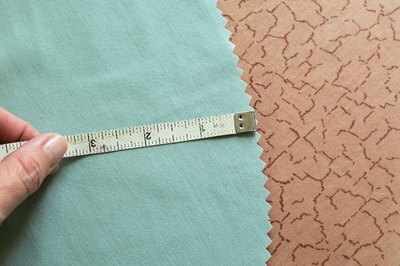 Measure 1 inch inward from each edge of the fabric. 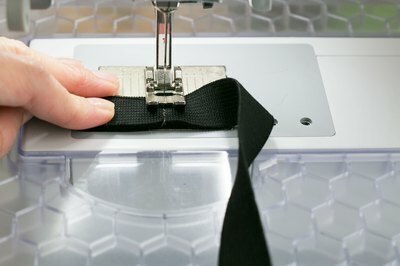 Pin the strips of hook fastener to the length and width of the fabric and sew the fastener to the fabric with a straight stitch. Place the large piece of fabric on the table top. 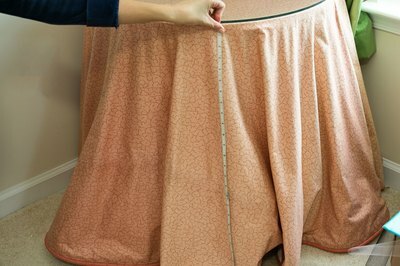 Slide the tulle table skirt over the table and attach the elastic top to the fastener on the fabric.